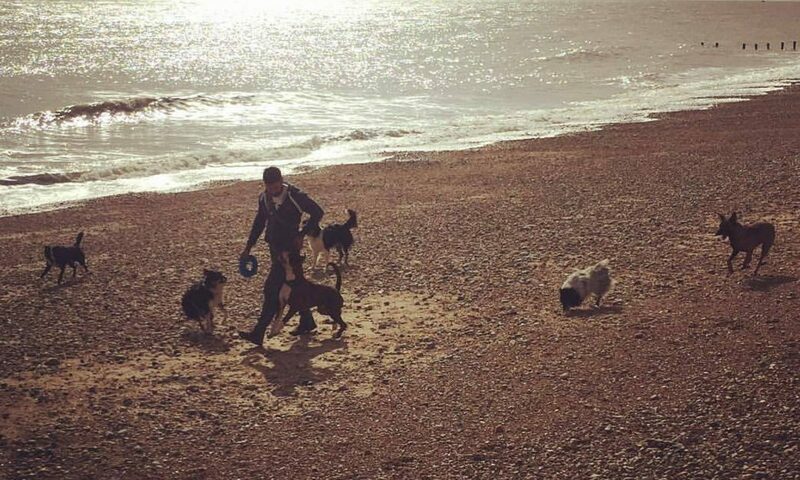 As a professional dog sports coach and teacher, part of my role is to prepare my students for the rigours of competition, including what the test requires and also the challenges their dogs may face. However there is another part of the conversation that I often have to have, and its not one I enjoy. They say that competition brings out the best and worse in people, and it is the small minority who act negatively that I have to ready my students for. Recently, I have had a student have some success in our sport, who has also become victim to malicious rumours and ill intent. This has come as a shock to this person, as prior to this, those same people were showering her with compliments and praise. It is a bitter pill to swallow, when those that appeared to lift you up, now want to tear you down. Unfortunately, this is the nature of the beast. Competition really does bring out the best and worst in people. I have also read of my friend and peers having Facebook groups set up, specifically to mock and ridicule them, even making comments about their physical appearance. And criticising aspects of their lives that crosses the line, by anyone’s standards. Even, I have been the ‘victim’ of negative energy, but in this instance from individuals representing a governing body. However when you scratch beneath the surface of those malicious comments and ill placed views, it is rarely about you. But always about them. This is often the case when you find yourself victim to negativity. As a new parent, I am constantly thinking about my daughters future and the person I want her to become. One of those biggest objectives is to teach her to have compassion, empathy and kindness towards others. However along the way, she will develop insecurities and inadequacies that I can only hope, her early upbringing can counteract, by given her strength, confidence and self belief. But there is a danger that, she may project her own insecurities, inadequacies and shortcomings onto others. I am sure that with the prevalence of social media and its ‘power’, has exaggerated this pattern of behaviour, and in my previous vocation, I dealt with numerous cases where this pattern of behaviour gathered far reaching momentum with serious and dangerous ramifications. The extreme out comes being physical altercations, violence and worse. I can only hope to educate Neave that our words and actions have weight, and whether we are conscious in our intentions or not, they can hurts others. Developing an awareness of what energy we put out into the universe is a process, and one that many have yet to undertake. Sometimes the best choice is to take the higher ground, and sometimes the best response is to say nothing and let your example silence your critics. But there are the rare instances when sometimes, just sometimes you got to let someone know…. this is acceptable, I wont allow this behaviour, so stop. Now! Sometimes you’ve got to say No. How you choose to articulate that may vary, but standing up for what it right takes bravery and courage. We only have to look to Hollywood to see that. This can ignite a flame for others to follow. It may be a lonely path to tread at first, but I assure you, you won’t be alone. But like all things, life is a journey and everyone has their own path to travel. This isn’t about judging anyone, but perhaps instigating a different thought process. When you put out into the Universe, something that may hurt another, and having malicious intent in doing so, the greatest damage you are doing is to yourself. There is a proverb which says something along the lines of, feelings anger or negativity, towards someone is like drinking poison and expecting the other person to die. That toxicity will implode, or manifest itself in your own life. Human, and I am far from perfect… but i endeavour to treat people in a way I would want to be, and I would treat my dogs. Dogs accept us regardless of our flaws, and shortcomings. They forgive us, love us and adore us despite our imperfections. Surely we should aspire to be the person our dogs sees as as? And even if you’re not a ‘doggy’ person, maybe you should take a leaf from their book. They say that competition brings out the best and worse in people, causing them to act totally out of character or show an aspect of themselves that they may or may not be proud of. However for someone who has competed in various activities including martial arts, athletics and dog sports, learning to compete graciously is a skill everyone should develop. It can be an acquired skill…..and one that you need to develop. The journey to train a dog from puppy hood to top level competition can be emotive to say the least, the ups and downs of training in itself can be challenging, frustrating, upsetting, joyous, overwhelming… the list of superlatives go on and on. However being gracious in defeat is part of the journey. At the weekend past, I competed with two dogs, Thriller my older Malinois and Girlee, a young border collie who I bred, but owned and trained by my close friend and student Val Venables. I was fortunate enough to win a Class and come second in another. The second place was her first attempt at a higher level, with added complexity and exercises. So this was a big step up for Girlee. To say I was elated would be an understatement, she showed me how truly talented and capable she is and how bright her future could be, but on this occasion, she was beaten by the better dog. The dog is owned by a peer, friend and fellow competitor Jane Pottle, and her young blue Merle riot. This is a fantastic team, at the start of a fantastic journey and I was totally ok to take second to Jane. Some may describe this as odd. We are in a competitive sport, why were you happy with second? For my dog, this was a big ask. Two full rounds, in testing conditions and a step up in what she needed to do. I was pleased she completed the test on her first attempt, and did it well enough to be ‘in the mix’. To finish with, she has had a glitch in scent discrimination in training recently which we have hopefully worked through. Well she did it brilliantly, losing a mere quarter on this exercise. Girlee was super! She surpassed my expectations on all accounts. She has competed 5 times, gaining two wins, and 3 seconds. How can i possibly quibble over that! But on the day, she was beaten by the better dog. This was Jane’s first A win, after gaining second the week before. But its more then that. I have known Jane for years, when she first started competing in Obedience with her rescue collies. She has taken on rehome and rescues with baggage and hang ups, and built their confidence and trained them to championship level, but never quite having that luck needed or their temperament has stopped them truly shining. When her young girl was born, Jane wasn’t meant to be having her… but fate and good fortune brought them together. And the start of something truly special was born. You can see it. Its that special something that we all hope for. Dont get me wrong the competitor in me, was partially willing for a stray meteorite to strike Jane down as she walked over to the ring… I wouldn’t want any PERMANENT damage, just a slight startle so she had to have a lie down and decline to do scent. But there was no meteorite, she did a super scent, and won. And rightly so! See, acknowledging someones else’s success doesn’t detract from your own, be it in competition, business or indeed life. Its ok, to say that someone was great, wonderful or brilliant and then strive to better yourself. Thats what good competition should do, it inspires. Tearing others down, doesn’t raise you up. Being ’beaten’ isn’t a permanent state, it may be a cliche, but it is always possible to pick yourself up and start over. Adjust, adapt and learn from your loses. You aren’t losing, you are learning. Success in any field isn’t a given and the hardwork and dedication to your craft, takes time, effort and energy. But so do politeness, humility and grace. Even in defeat, acknowledge your own achievement and that of others. The psychology of competing is a area that has always intrigued me, and understanding it, and going through the journey to train my ‘mental game’ has meant that I can help countless people with their ‘mental game’. My students and pupils across the world, range from first time dog owners who have stumbled into this world of dog sports, to World championship competitors. Being able to help them master their own mind, to over come apprehension and anxiety ultimately fills them with confidence and changes the way in which they perceive themselves. For me, that is a win in itself. But part of that journey is understanding defeat, loss and ‘failure’. Teaching people to cope with an experience they perceive as a ‘failure’ is crucial part of being a ‘coach’. And teaching people to accept loss graciously is also part of my role. Acknowledging other people’s shine, takes nothing away from yours! Being gracious, changes your perspective, you can either choose to focus on what you lost, or what you gained! The concepts of frustration and stress in our dogs lives and training is a conversation that can polarise dog training fraternities like the red sea parting, some avidly stating that both should be avoided at all cost, and efforts should be made all times to minimise them. Whilst I don’t disagree with this statement, I also feel that there is a time and place for both. Let me explain and clarify. In dog sports, frustration and stress are inevitable parts of the process to have a dog perform in a environment of extremes. At your average competitive event, there will be in excess of several hundred dogs and people in a relatively close proximity, there will be strange smells, strange people, strange sights and sounds. This in itself can be a stressful situation for a dog to be in. Combine this with the requirements to perform for a length of time, be it 30secs in agility or 45mins in a mondio ring trial, all without reinforcement from the handler as such and being required to listen to cues and signals, and ignore distractions and temptations. This can create a lot of frustration for a dog. So it is a necessary evil to consider and incorporate both into your training and your preparation. However how do we do this and remain ‘positive’, maintain our relationship with our dog and not have them tip over the edge? As a trainer who uses positive reinforcement to train my dogs, I run the risk of my dogs never experiencing the failure, frustration or stress in their training.. The aim is to reinforce the dog to encourage a behaviour to be repeated. However this is a big gap between reinforcing every behaviour or skill by dog does, and creating a performance dog or even a service dog, or police dog or any other active role. Whilst they may have some experiences in ‘real life’ or have a natural tolerance to frustration and stress, I could risk them being fragile to exposure to either in a competitive situation, if not adequately prepared. This was the challenge that I was faced with when I made the commitment to training with this methodology. Shaping is my preferred approach to teaching my dogs any behaviour, and it allows me to develop their understanding of ‘concepts’ prior to actually commencing any formal training. There are so many perceived ‘qualities’ of purpose bred sports dogs, that can be trained, For example, I can strategically create a challenge for my dog, to build up their resilience, and tenacity. I teach my dog to ‘recover’ from mistakes, I can create perseverance in them, and create a high drive dog with a clear head that can think when aroused. Teaching a simple base behaviour such as ‘get in a box’, is an easy way of doing this. The dog is initially shaped to step into a large box, and progressively the box is reduced in size so that the dogs ability to manoeuvre into the box is challenged. This will create some frustration, and maybe even stress at not being able to complete the task. My role is to support this stage of learning. Equate this to learning any new skill, at first it is hard and even challenging. You think you’ll never get there. Its frustrating and you may even get stressed in the process. Say for example when you were learning to drive and you first went on a busy road, and had to pull out from a round about. Having to think of all the things you were advise in the formative stages when learning in the car park or quieter streets, in a contentious situation can cause you to feel stressed. Hopefully you’re instructor created an environment that was supportive, safe and allowed you to function. They helped and assisted if need me, but left you in the driving seat. Imagine how’d your driving would be, if every situation like this they jumped in and took over the wheel? You’d never succeed. In the same way allowing you to try and learn to drive on a formula one speed track wouldn’t be appropriate either. Good teaching creates just the right amount of success vs challenge, to create confidence. Inoculate your dogs confidence and training against both frustration and stress, to ultimately create a dog that oozes confidence and clarity! I am often approached by keen and enthusiastic dog trainers who want to have a career in this industry, and asked advice about the best course to take or the best book to read, or what route to take…all of which I often offer suggestions on. However the biggest piece of advice I give is, be prepared to embrace the struggle. I recently listened to an interview with Ed Sheeran, in which he tells a story of spending time living from sofa to sofa, and the goodwill of others that allowed him to pursue his passion and his craft, to eventually reach the heights of stardom that we all now know. However he also states that it took years for him to accomplish this and people don’t always appreciate the struggles and heartache that goes into becoming an ‘overnight’ success. When I equate this to my own career, leading to the path that I now follow, I can see this same pattern. Not just with my own journey, but that of training my own dogs and helping others realise their own goals. The path to ‘success’ is laden with boulders and valleys, and it is this that makes success so much sweeter. The rosette, prize card or accolade is often a representation of the years of dedication that go into creating that perfect moment. This doesn’t matter if you are a World Championship performer, or starting out… or even a first time dog owner trying to navigate the trials and tribulations of dog ownership. I started training dogs 27yrs ago, when like so many, I had a dog that didn’t listen to me and as a naive first time dog owner, I needed help! I had seen Agility on the television and watched the junior competition and saw these kids, not much older then me competing and thought ‘I want to do that…. if they can, I can too’. and started homing my craft. But this is not where the struggle started…. My love for dogs was evident way before that, I literally had to beg my parents to let me have a dog… even threatening to leave home (not sure that was a threat or an incentive), several emotional outbursts and eventually I wore them down, till I was allowed to get my own dog. The first dog we actually had was a kelpie cross, from the RSPCA in Sydney. We only had a few months before having to give her back because my dad got a job back in the UK. We would have had to have her in quarantine, and as we didn’t have a house to move back to, we had to live in one room above my uncles accountancy offices, we literally weren’t in any position to bring her with us. She would have had to be in quarantine longer then we had owned her. The heartbreak of finally getting ‘my’ dog only to have to give her back was a ‘struggle’ in itself. However the dog that I then got in the UK, my dear little brown mongrel Scrunch (this was in the days before designer crossbreeds! ), after more begging was the ‘perfect’ dog to start this journey as she has every issue you could think of! Separation anxiety, resource guarding, no recall, didnt play, fearful… the list goes on! So training her was filled with struggles. Then came Tai, my first ‘proper’ Obedience dog with his quirky ways and his sensitivities…. the pursuit to gaining his title was filled with struggles… struggles in his training, personal struggles, mental and emotional struggles. Every dog I have owned has had ‘struggles’ to overcome. I use the word ‘struggle’ because thats what they are… they are challenges that show me who I truly am, and what I am really made of. Every time I encounter one, I am convinced that this struggle is the final one and I contemplate giving up. Its at that point that I grow. Its these struggles that now allow me to help others, empathise with them and assure them it will be ok. As, others around me have assured me. Training and owning a dog, isn’t always plain sailing… don’t get me wrong I’ve had easier dogs, but there is always a struggle to overcome. This is applicable to any goal, aim or dream you have. Struggling through and overcoming obstacles are what make the eventual success so glorious! Thats the irony. The real beauty lies in the struggle. It is where you develop your skills, hands on experience, where relationships are forged. Its where you develop your ‘feel’. There is no short cuts to this. No amount of reading books or talking about it, can compensate for ‘doing’ it and applying the theory. Its a necessary part of the process. The struggle isn’t to be avoided, its to be embraced. The sacrifices and hardwork are what make success that much sweeter. Getting in the trenches and getting your hands dirty, is all part of the process. And sometimes you’re going to hit some rock….In what I do, having my own dog and going through those struggles allows me to relate to those I teach. It would be like learning to drive from someone who has read a lot about driving cars and seen it on YouTube, but hasnt actually driven themselves or drove so long ago, they have disconnected with the speed of vehicles now and the roads that exist. It is in the field that our theories ideas and data is tested, collated and ratified. Be it getting your dog to recall away from a running rabbit or achieving a High In Trial at your Nationals. It doesn’t matter. The blood, sweat and tears that go into achieving that one ‘perfect’ performance are what its all about. There are so many cliches to articulate the concept that hard work goes a long way, and that the path to success in any field is built of years of sacrifice, dedication, hardwork and commitment. No short cuts, no magic wands, no easy fixes…. its all about the journey not the destination! Enjoy the ride! As a professional Dog Sports Coach, and International Seminar instructor, a huge part of my role is to get information across to people in a manner in which they understand. I have spent years refining and learning how to do this effectively, and I have grown in this role from my early years. Being a coach and teacher requires more then just the ability to communicate effectively, it also requires the ability to read people, adjust to them and taper your teaching accordingly. I learnt a valuable lesson from a student years ago, and it still stays with me to this day. This particularly student had a German Shepherd, which had the potential to be not just good but great…. She came to me when the dog was an adult, but still relatively early in its career. When she first came training with me, I quickly realised that there were some crack in her training that needed addressing. We set about doing this, and the dog just thrived on the new lessons and games we introduced. This went on for several months over the winter and the dog just flourished. When the competitive season started the following year, the owner was chomping at the bit to start to see if the lessons had any impact. I stressed the need to generalise the training to the show environment, and the importance of reinforcing the behaviours we had worked on in training, especially as the dog had a history to the inappropriate response in the ring. However, contrary to my advice… the owner decided to compete. And she won. The fruits of her labour had paid off and she was ‘reinforced’ by winning! Great right? Well no…..not really…. The phrase, ‘Don’t sacrifice what you want for what you want right now’, is so apt in this instance. At the following group session, we celebrated the success and the owner was absolutely elated. And rightly so. This dog hadn’t had any success in the ring for the whole previous season, because of the dog going in the ring and switching off and displacing, so for her to enter the ring, engaged and focused was an achievement in itself, however to do one better and win as a huge boost. At this group session, we also discussed the importance and need to reinforce in the ring. She agreed that this was valid and understood the importance of doing so, so committed to doing so the following weekend. The subsequent session, the owner attended with a rosette for a place in one of her classes. She explained that she ‘would’ve won but….’ and asked if we could work on her right turns. I asked, does she have a right turn issue? She stated, ‘No not normally’…. I asked why she felt the need to work on them, if they weren’t usually an issue? She stated that this is what cost her from winning. This line of conversation went on for several months, and this advice I gave was largely ignored in preference of competing. Slowly but surely, the quality of the dogs work began to deteriorate and I have to confess I was growing increasingly frustrated. Each session, the handler would ask for a ‘solution’ to a error that occurred in the ring. She was being reactive training, rather the proactive. She had failed to adhered to the golden rule of reinforcement based training, you have to be prepared to reinforce behaviour in the environment where it matters the most. This pattern continued for some time, and I would avidly repeat the need to do some training in the show environment. She stated that she would do this, but it was always when the dog had failed and made a mistake first. So the dog was failing, not being reinforced for the correct response and its condition emotional response and shows was plummeting. The old demons were coming back to haunt this team. I have to say, she was never cross or angry with her dog, or horrible to it in any way, certainly not consciously. She may have miscommunicated with the dog and it may have been a bit jaded, but she never punished the dog or chastise it, in anyway. I have to admit, I was growing more and more frustrated and also not enjoying the lessons we had. I would be short with the handler, and for a trainer that promotes the use of positive reinforcement, I wasn’t following my own advise! It all came to a head, when the handler came back with her rosette from a special class for German shepherds, after being advised not to enter, and if she did, not compete. I have to confess, I was far from understanding. After that session, I sent a very diplomatic email saying that I felt that I could no longer teach her, I stated that I didnt feel our goals aligned. I explained briefly why I felt this and that I wished her all the best for the future. The handler responded with shock, stating that she loved the sessions but understood by sentiment and that she thanked me for all my efforts. I have to confess, I stand by the sentiment of the email, as although this is my ‘job’, it has to be more then just a financial motivation for me. At the time, I was also a Police Officer, so this was not my main source of income, so I was in a position to be able to ‘not train’ people, if I didnt want to. The handlers year progress as anticipated, and she picked up more rosettes, including a few firsts. Each time thanking me for my input, however the dog largely reverted back to showing a mixed bag of responses. Some months later, I attended two shows held on the same weekend at the same venue. It was October, and the weather was far from friendly. I remember driving into the venue at some un-godly hour of the morning and being greeted by the handler welcoming people and parking them. On each day, I completed stays and there was the same face in the stay ring helping out with stewarding duties. On morning of the second day, there she was on the gate again. Smiling, friendly and polite. At the end of the second day, after an awful weekend of rain, mud and cold… as I pulled out of the venue, there was the same person helping clear the venue of rubbish, vehicles and ring equipment. In that moment it dawned on me that, for her… it was more then just ‘competing’. It was her life. It was her joy, it was her social circle. She had partaken in this sport for 40yrs, and still loved it as much as she ever did. Her dogs going in the ring, and getting a rosette was her reinforcement for standing out in the cold, wet and horrid weather parking cars an keeping the wheels of the sport turning. It dawned on me, that I was right to say that our goals didnt align, but in this instance it wasnt ‘my’ goals that mattered. I could see her dog being a prolific, show stopping Obedience dog, whereas she saw her companion, that enjoyed spending time with at weekends, socialising and meeting up with friends she had known for 40yrs and partaking in a hobby that she still loved, and you know what… what’s wrong with that! I learnt a valuable lesson that I still think of to this day. As a coach, my role is to help my students reach their goals, whatever they may be. My goals are secondary to theres, if at all. I realised that in order to get the best from an individual, I have to ‘tune’ myself into them. I also accept that I can’t help everyone, and I may not be the right person for them. It may be that we view training dogs differently, or that I can’t ‘click’ with them or them me. The relationship between student and coach is personal and both of us have to feel it is right. The lesson I have gleaned from this one, has taught me how to be a better teacher and therefore help others. Sometimes, this takes a minute for a teacher/pupil relationship to develop. However, we can help each other in this process. 1. Be prepared – This means, that as teacher I am prepared and understand the needs and requirements of my students, and that as a student, you are prepared and ready to learn. When first meeting your prospect teacher/student, be open. People are nervous and apprehensive, when they attend seminars or lessons. Its the nature of student/teacher relationships to be a bit daunting at first, so being prepared will remove some of that tension. This may be by having the equipment you need, or ample treats. It keeps the session flowing if you are ‘ready’. 2. Be specific – be specific in your instruction and your needs. Communication is key. Be clear about what you want. Dont give a generic answer when asked what you want to work on, be specific Not only is this better training, it is better teaching. 3. Take ownership – a teacher/coaches role is to communicate information, support and assist… the students role is to do the work, listen and be proactive. There is nothing more disheartening then, when one part of the team isn’t fulfilling their responsibility. However, apportioning blame on the other party is a choice. You don’t have to stay there! Take ownership of your dogs journey and take ownership of your shortcomings. 4. Do the work – It is soul destroying when you are giving your all and the other party isn’t pulling their weight. Its like your pulling a cart up a steep hill, and there are boulders and rocks in your path. But one person wants to jump in the cart and let you do the work…. thats not fair for anyone. This can be either the teacher or student. 5. Have fun – for those in Dog sports, lets be clear… it’s only a game!!! Now the notoriety success brings may help create seminars, classes, pupils or the Competition may result in titles and accolades, but when you break it down to the most simple conversation… its a game and meant to be F.U.N! If you’re aren’t enjoying it, even the struggles and challenges, don’t do it! Its not mandatory! 6. Speak up – stand for something or fall at anything! Be your dogs advocate! No one can ‘make’ you do anything. Honesty is the best policy, relationships are about trust. Don’t be afraid to speak up… if they don’t want to hear it, chances are the relationship isn’t right. 7. You’re only human – sometimes we all make mistakes, and we all are entitled to a second chance. Dog training is often a escape for many, and there is so many emotions involved. Compassion and understanding go a long way, what’s happening away from the lesson may be a contributing factor. Sometimes the best lessons is just a shoulder to lean on. 8. Be present. The dog deserves the ‘A Game’ from everyone. This means that everyone has to be committed of this isn’t going to work. Its ok for things not to click, but you have the right to say so, but if you’re in it, give your all. The dog deserves that. 9. To make it last, the motivation has to be genuine. For me, its not about money and accolades, its about the relationship and getting the best out of the team. This can’t be created if you have your eyes on the pound signs. Its a journey with too many trials and tribulations to do it for anything else. 10. Reinforcement isn’t just something we do with our dogs, we all need reinforcement to build our behaviour. Gratitude, thanks and appreciation goes a long way. It cost nothing to acknowledge someone’s efforts. I just delivered a seminar that was intended to be on motivation and impulse control, however as often is the case, the premise of the seminar altered by the nature and needs of the participants. Seminars can sometimes be organic in their nature, and take a path all of their own. When this happens, I have learnt to go with them. A conversation that came up and was relevant to so many was the ownership of a dog that overwhelms you, or you find yourself ‘over dogged’. This is a common issue in dog sports, when people are attracted to certain type of dog that succeeds in a chosen discipline and the natural assumption is that this dog will be the best fit for the sport, however not necessarily the needs of the individual. This can also often happen with people who don’t partake in any sport and just get a dog because they see them on TV, or film of their neighbour has one, and underestimate what that dog is, and all that comes with it. This can simply be the experience of a first time puppy owner. Or when your beloved fido hits adolescence. The feeling of being grossly overwhelmed and ‘over dogged’ can immerse you and sometimes even drown you. I know this was exactly the feeling when I first owned by truly ‘high drive’ dog. It was like being at the base of a tidal wave, desperately running for shore knowing that I was too far away and all I could do was wait for the impending crash! To say it was steep learning curve would be an understatement. Since then, I have had numerous dogs of this ilk and now, having come through this experience, relish this type of dog and all that comes with it. In fact, I would say, not only do I enjoy it… i thrive on it. However this weekend, got me thinking of how overwhelming this can be and how this ‘experience’ isn’t just unique to dogs. The parallel I can draw with this, is the experience of being a parent. The cliche, ‘No one can prepare you for it’ is so true, when talking about parenting, and indeed the first time experience of owning a dog that’s every living moment is consumed with the deep rooted thirst for work and a job to do. This can be an overwhelming feeling, and can often swamp people and leave them feeling in a sense of despair because of it. I know that parenthood can be overwhelming, and people react in various ways. Feeling overwhelmed by the responsibility, and 24/7 relentless needs of this little amazing being who you have this conflict of emotions about. You have this instant life changing love for them, but also this life changing pressure attached to parenthood and the expectation of others. You see people that just seem to be naturals, who take to every part of the sleepless nights, feeding, nappy changing, crying, screaming etc like a duck to water. This in itself can contribute to the feeling of failure and inadequacy. With some, it takes a moment to adjust to the role and it takes making decisions and choices. Feeling that you can’t cope, being tearful and stressed are ‘normal’ reactions. This experience, is similar to those who have a dog that they feel overwhelmed by. You see other ‘doggy parents’ with their adoring ‘furbabies’, listening, being focused, well behaved and the perfect citizen, and you assume that this is what you’ll be getting, or even if you anticipate that there may be some work, you don’t quite equate, how much. Your ego gets in the way, and conjures images of podium places and titles galore, or angelic behaviour and the envy of many. Anything less is a failure….or at least thats the story you have told yourself. So what are the options for those in this position? What can you do to quill this feeling of being overwhelmed or Over dogged? What are the REAL options to try and deal with problem…. That’s right, for some… death is an option and one frequently chosen. It may sound dramatic but it is an option many resort to. This isn’t to say that this is an option that many would even contemplate, but there are many who have and would. This isn’t about judgement, its about having an open and frank conversation. I regularly encounter instances where dogs that have overwhelmed their owners have ended up being euthanised because they have become either a liability to themselves or others. It may have been frustration. It may have been misunderstanding, lack of knowledge or simply can’t cope anymore. Again you may not be able to comprehend it, but for some it has been an option. And, in some instances, you know what it may just be the most appropriate option. This blog isn’t about debating the rights and wrongs of euthanasia, it is just having a warts and all conversation about options, and understanding which option is appropriate for you is uniquely personal and takes a lot of soul searching. Rehoming the dog is an option for so many, hence why we have rescues over flowing with dogs of all shapes and sizes. This was the first initial impression that jumped out at me, when filming ‘Dogs Might Fly, where we had the crazy notion to teach 12 rescue dogs to fly a plane. The dogs we had were all of a ‘type’, and their stories corroborated my thinking. These were mainly dogs who would have overwhelmed their owners and left them feeling like they were drowning. They were craving a vocation and a purpose that just couldn’t be met in the situations they were in. I have always been very vocal about rehoming dogs, and sometimes ‘self righteous about it’. However, time, wisdom and experience has taught me that in some instances this is the best outcome for all parties who choose this option. The dog and original owners have been happier and better off for it. I have also seen the other extreme, where ‘Rehoming’ was just a flippant decision because of a lack of commitment and awareness of what owning a dog of any type entails. I have talked in previous blogs about management, but decided to live with a dog that you feel overwhelmed by may entail a lifetime of management. This may entail having a set routine that prevents issues escalating, and very consciously avoiding any triggers. This can also be overwhelming, having to comply with a endless list of rules by which you run your home, and life. But for some this is a viable option. This is the approach many take, yet do they every actually have joy in this? Do they have find this lifestyle ‘fun’? Or enjoyable? In many cases, this is the best solution for the scenario and one where the dog and person can live in some co-existence. But it is somewhat of a burden. Medication has become an option prescribed more regularly then in the past, and again in some instances this may be an appropriate solution for dogs that have a physical or chemical need that can be met by medication. However for dogs that are just of a genetic predisposition to work and live life on the edge, this is often a plaster over symptom. I have previously talked about creating contentment rather then calm with these ilk of dogs. These traits have been created by us to serve a purpose, however when they are not appeased they can self implode. When feeling overwhelmed, medicating the dog to stem their over enthusiasm and arousal may be a temporary solution however the symptom will still be there. The above may not be options that many of you would consider, however that are still options. It may be a trial and error process to determine which suits your situation and knowing what all the options are, can alleviate the pressure. However clearly the emotional and life altering affects need to be considered. So what if you decide that all the above are not options for you… what else can you do? D) You can embrace the challenge. This means collating help, be it professionally or emotionally. I have previously talked about ‘villagers’ and never more the case then when you are ‘over dogged’. Everyone of us need support and help, and being open to this is pivotal to overcoming the challenges and issues that will be presented. Being humble enough to accept it is another matter. It means acceptance of what you are capable of, what the dog is capable of and meeting in the middle. No relationship is perfect, it takes work, patience and commitment. It means enjoying the journey and savouring the wins along the way. Small achievements, keep you going. Some days its just getting through, others its achieving a milestone. Hold onto the fact that you love and adore this dog, even when you they push you to your limits. That will get you through a lot of tough times. Change your perspective on the relationship and the dog. I urge people to remind themselves, what drew you to this type of dog… or in other words, what drew you to the prospect of being a parent. Its the moments, the tiny ‘wins’ of success that keep you going. Accepting them for what they are, warts and all. And also accepting that the perfect ‘picture’ doesnt exist. And thats ok.
Be honest with yourself. Evaluate what you can do to create clarity and confidence in your dog. Take ownership of your part in the relationship. Relationships are a two way street, make sure you do you bit…..
Every dog has challenges, with dogs of this ilk the challenges are more extreme and come fast and furious. Each day is constant reminder of how they just dont allow you any grace for inconsistencies, they highlight your shortcomings and keep you on your toes…. but there is something exhilarating and exciting about owning them. Their tenacity, determination, joy at being alive and just sheer gusto! These animals are the ferrari of the dog world, however this means that a commitment to owning them, it means you need to step up your game… you need to give them direction, and channel all these characteristics into positive activities. Engaged them, exhaust them and embrace them They have so much to give, if you do the work.